Challenge yourself to conquer the highest peak in England and Wales. Snowdon stands at an imposing and magnificent 1085 metres. The best way to beat the mountain is with a guide by your side, showing you all the breathtaking natural beauty spots on the way up, before you marvel at the majestic views from the peak. And you won&apos;t even need to pick up a map, so you can concentrate on the beautiful surroundings. 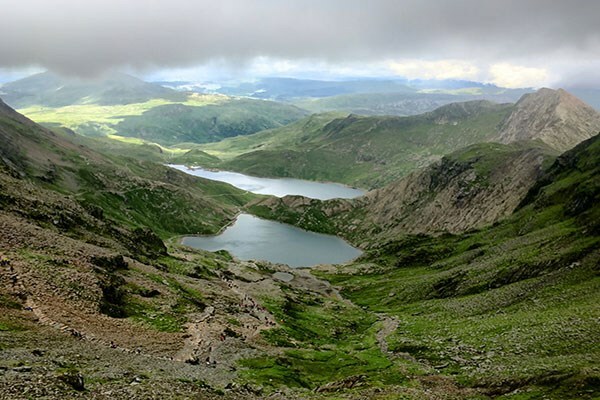 This voucher includes a Snowdon guided expedition for one, with routes including the Minors Track, Pyg Track, Rhyd Ddu Path, Watkins Path or the popular Snowdon walking weekend. This vouch is valid for 10 months for one person. The experience normally runs on Saturdays and Sundays but other days of the week can be scheduled subject to demand. Allow a full day for the experience, usually 9.30am-6pm. All dates are subject to availability. Customers are expected to provide their own packed lunch. To make the most of this experience you must have a reasonable level of fitness. Dress appropriately, warm clothes, sturdy boots and a hat and gloves are recommended, a full kit list will be supplied on booking. Minimum age for the experience is 10; all under 18&apos;s must be accompanied by an adult.